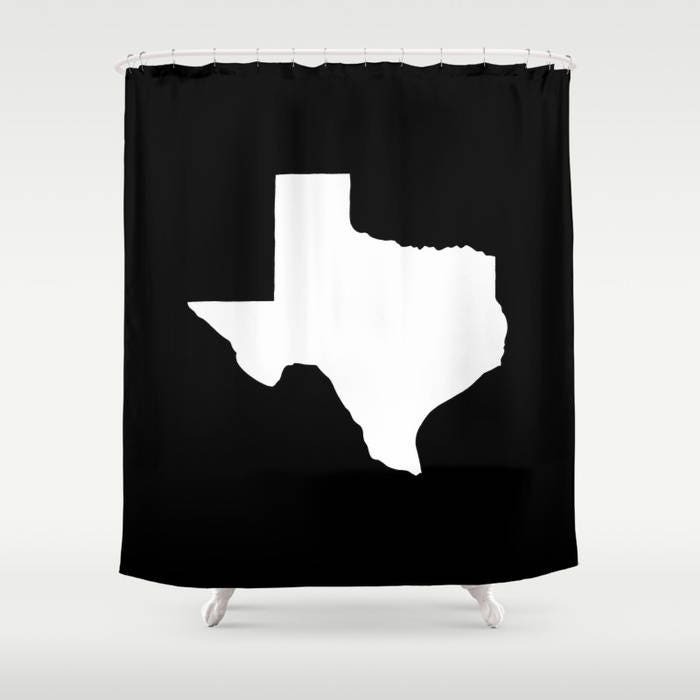 Show your Texan pride with this black and white Texas state shower curtain. 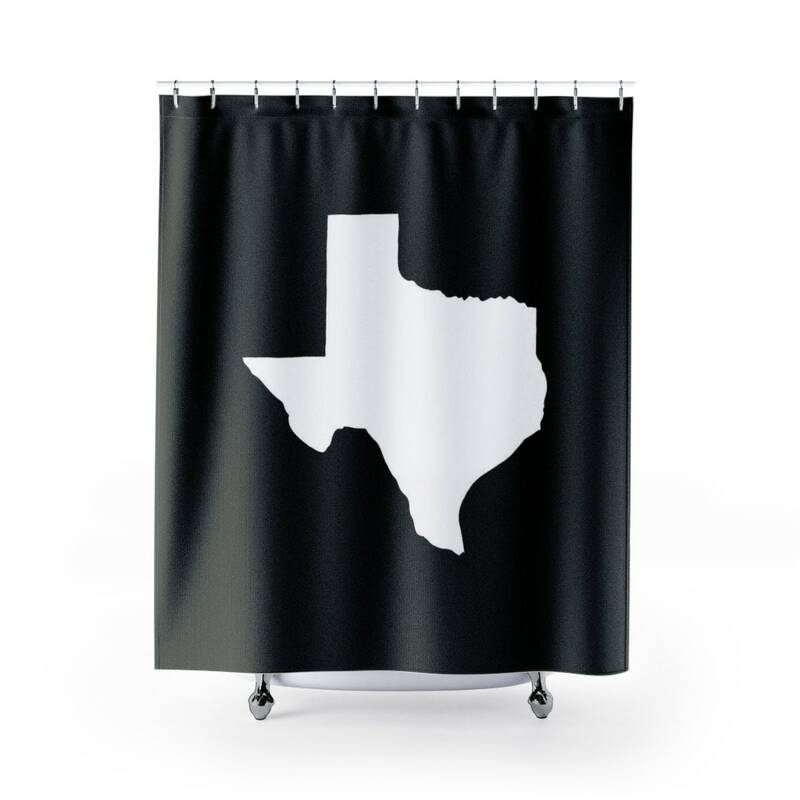 Please use a waterproof liner with this shower curtain. 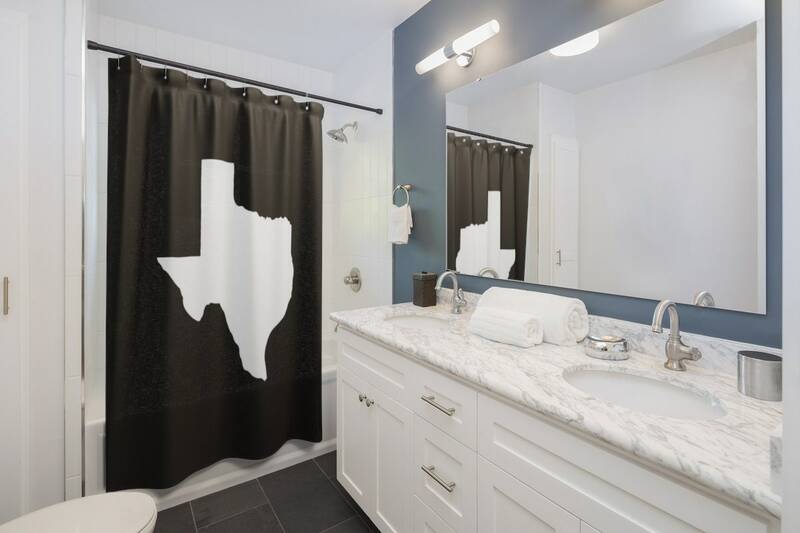 Liner, hooks and rod are not included.